Free Practice 1 + 2: In the first practice session on the difficult and very technical track at Assen, the Kaufmann Drivers started off with a good pace. 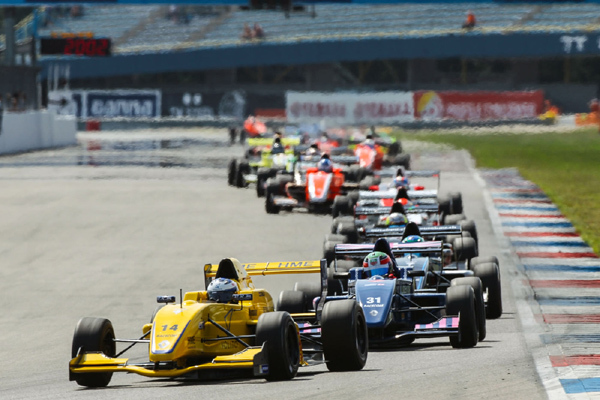 Delétraz was P 5, Malja P 8 and Tveter P 11. In the second session the Kaufmann Drivers improved and it was Delétraz on P 4, Tveter P 7 and Malja P 11. Qualifying 1 + 2: In the first qualifying the Kaufmann Drivers improved again and Louis Delétraz finished on P 2, Malja P 5 and Tveter P 8. In the second qualifying a yellow and red flag made it very difficult to drive a few porper laps, still Delétraz was P 3, Malja P 6 and Tveter P 8. Rcae 1: In the first race Delétraz had a poor start and dropped back to P 7. Tveter moved up to P 5 and Malja improved himself to P 3. After a Safety Car period, Delétraz had again a difficult restart and lost even more positions. He finally finished P 8. Tveter had a good race and finished on P 6. Gustav Malja was putting pressure on the two leading cars, but couldn´t find a way pass them. He finished on the podium again and took a strong P 3. Race 2: In the second race Gustav Malja had a good fight for positions and was finally able to finish on P 5. 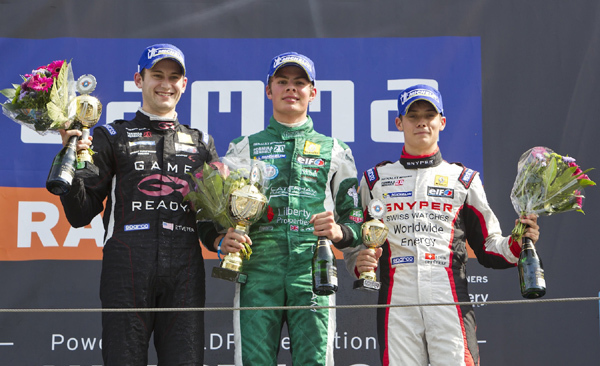 Louis Delétraz also drove a good race and kept his position from beginning to the end and once more finished on the podium on P 3. The best race drove Ryan Tveter. After an incredible start and opening lap, he moved up from P 8 to P 2. 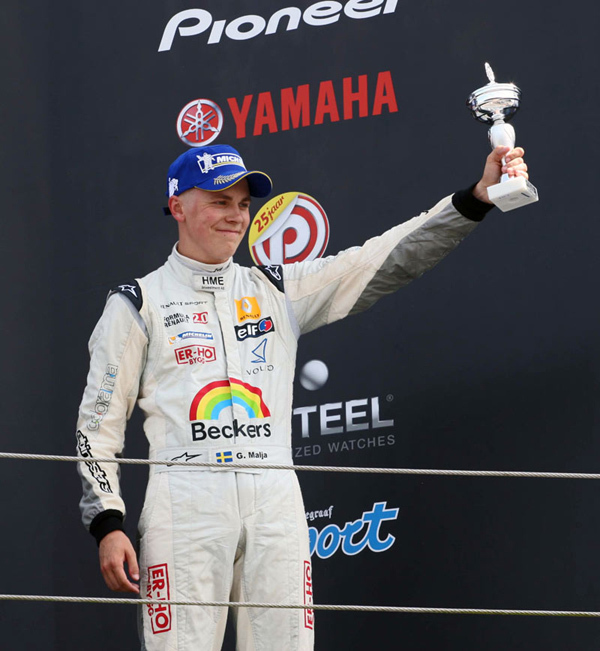 The rest of the 25 minutes race, Tveter showed an excellent performance without any mistake at all and brining home his first ever podium in Europe - P 2. Brilliant performance by the young American.